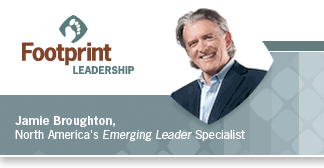 Increasing your impact as you advance in an organization is founded on the relationships you build and your ability to move people into action through communication. 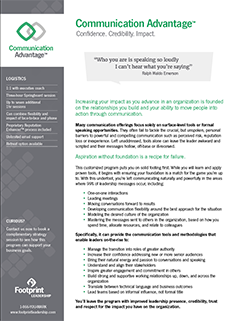 Many communication offerings focus solely on surface-level tools or formal speaking opportunities. 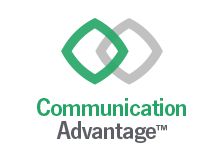 They often fail to tackle the crucial, but unspoken, personal barriers to powerful and compelling communication such as perceived risk, reputation loss or inexperience. Left unaddressed, tools alone can leave the leader awkward and scripted and their messages hollow, off-base or ill-received. You’ll leave the program with improved leadership presence, credibility, trust and respect for the impact you have on the organization.